Three quarter goalkeeper pants protect and keep the GK cooler during breakaway and diving training as well as games. Junior and adult sizes. Contact us with goalkeeper equipment sizing questions. 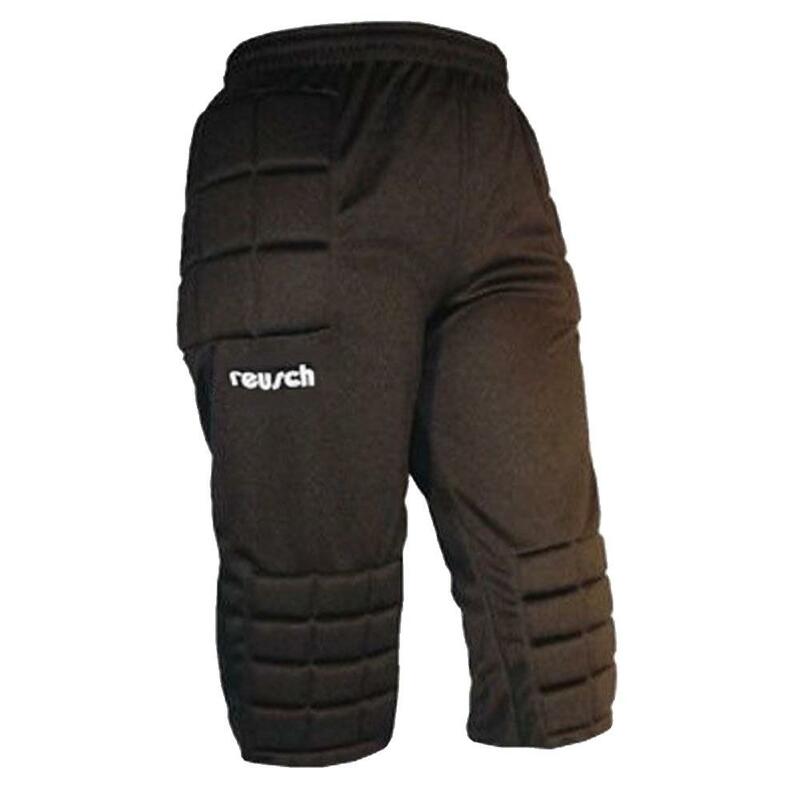 The Reusch Alex 3/4 Soccer Goalie Pant is made of 100% polyester double knit. This is a great option for the hot summer months or indoor play. It provides the same padding as a full length pant with less restriction. 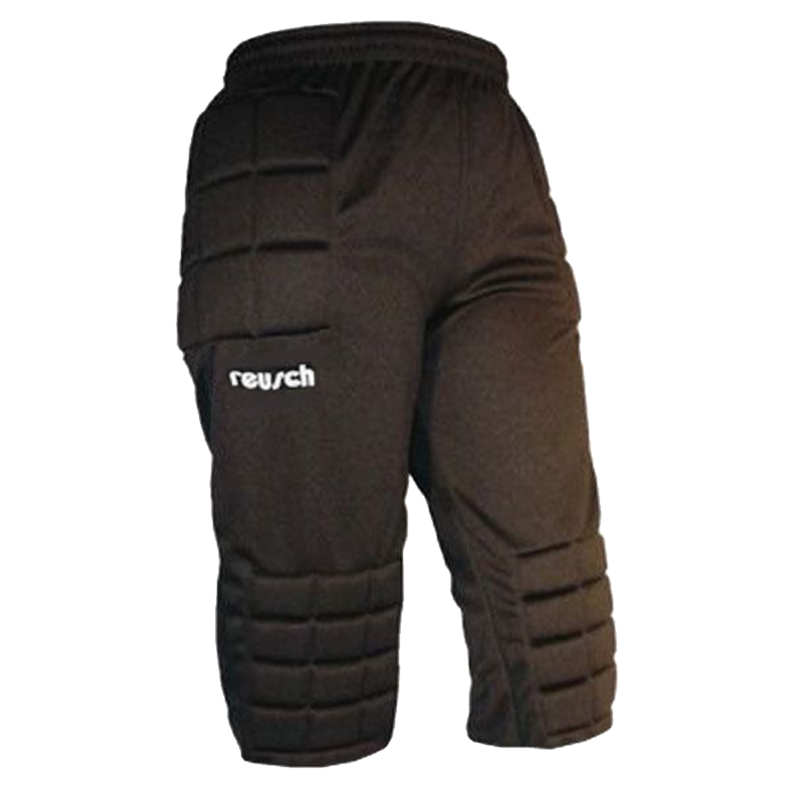 The padded Reusch goalkeeper pant features extensive padding on hips, thighs and knees for excellent protection. 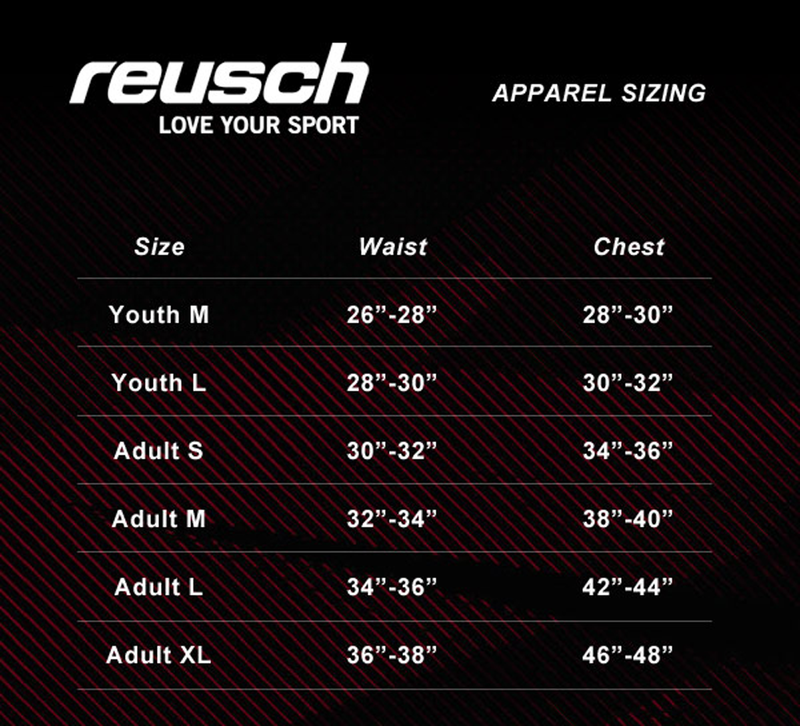 The Reusch Alex 3/4 Breezer soccer goalie pant is also available in youth sizes small, medium and large. Perfect! My daughter is a very slight 11-12. They are a bit baggy but these are the 4th pair we tried and they fit the best and she really likes the way they feel. Comfortable without being a distraction. Great Pants for the money! I got the Med Youth size for my 12 yr old and he loves them. The padding gives him the confidence to launch through the air to stop the ball. Good product. I previously wrote a less than stellar review on these pants. I was quite surprised and impressed when I was contacted, personally by both the Owner and General Manager. After telling them what happened to the pants, I learned it was "operator error". The pants were not made to play goalie on a gym floor. They offered suggestions and options of what could be done to resolve the issue. They were very helpful and I will be sure to call ahead next time to ensure I purchase the proper gear for my grandson. Thank you Christian and Paul for providing EXCELLENT customer service. PS.....I patched the pants and they are doing much better on the outdoor turf. My 13 year old goalie LOVES these! He was not a fan when he saw them but after a few games declared them awesome. He is quicker to dive with the padding and protection offered, especially on the hard ground in January. He can already tell he has less bruising and abrasions, making his fearlessness grow. At first he wasn't sure about the 3/4 length but says it is much better for punting and movement than the full length version he owns. After half a season, he has deemed them necessary for play and plans to order another pair for practice only. Exactly as advertised. Delivery was very efficient.